The past 25 years have seen unprecedented economic development among the countries of the Association of Southeast Asian Nations (ASEAN), with the likes of the Philippines, Indonesia and Malaysia ranking among the fastest-growing economies in the world. A notable consequence of this economic boom is a huge increase in the demand for energy in the region, a demand that expanded by two-and- a-half times between 1990 and 2013 according to the International Energy Agency. While rising energy needs pose various challenges for ASEAN nations, they also present an opportunity to develop renewable resources such as solar, wind, hydro and geothermal power. To this end, countries such as Vietnam, Thailand, Indonesia and the Philippines have set ambitious renewable energy targets for the next 10 years, introducing a number of new policies to help achieve their goals. One such policy is the use of feed-in tariffs (FITs), a mechanism by which governments incentivize sustainable energy production by paying above-market rates for the renewable energy produced. In Indonesia, for example, FITs have paved the way for the opening of geothermal plants of varying sizes that may not have been economically viable otherwise. The Philippines, meanwhile, has used FITs to encourage the creation of renewable energy projects such as the US$450 million Burgos Wind Farm, which is capable of supplying power to around 2 million households, and the recently announced plan by France’s Urbansolar to construct solar plants amounting to 100 megawatts. On a consumer level, this is reflected in the burgeoning solar power boom among homeowners in Southeast Asia, where the falling cost of the technology coupled with the prospect of reducing electricity bills has proved a persuasive argument. 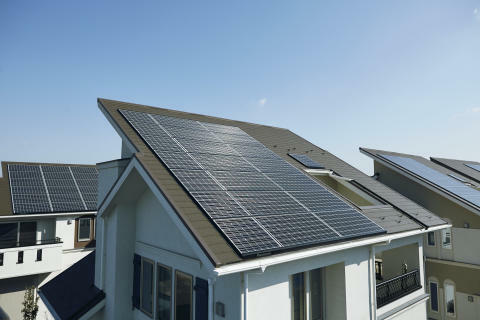 Facilitating this changing landscape of homes in Asia are innovative companies such as Panasonic, which has invested heavily in developing solar energy products and systems for the household. This includes the development of its state-of-the-art HIT solar panels, which feature photovoltaic module cells that offer industry-leading levels of performance and power generation. These panels are intended to be connected to Panasonic’s Home Energy Management System, an automated network that monitors the flow and usage of power around the building and makes continual adjustments to achieve optimum efficiency. As well as providing energy for that individual home, the system is designed to be linked to a larger network, meaning that any excess power generated can be sold. Depending on factors such as usage levels and hours of sunshine, solar-power systems can pay for themselves within a decade, while the longer-term result is cheaper, greener power for years to come. The future for solar power, it seems, is very bright indeed. 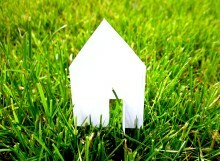 An eco-friendly home uses green technology at its heart, working with nature instead of against it. Homeowners and developers can look to a few green-living solutions that have made luxurious green-living an achievable reality. Visitors to Kuala Lumpur often comment on the city's stunning architecture. Take a closer look and discover that modern Malaysian architecture is as green as it is beautiful. Thanks largely to government incentives and the adoption of a green rating system, Malaysia is now at the forefront of the green movement in Southeast Asia. As countries are better able to make use of technology to support sustainable building, remarkable strides are being made in green technology, giving us a glimpse of what's to come. 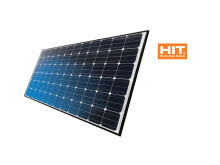 The solar panel industry has seen significant growth worldwide over the last decade. 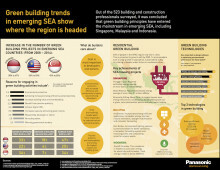 Southeast Asia, particularly Malaysia, is becoming a major player in this area of manufacturing. Singapore is suited to become the world's first fully integrated Smart Nation. Much of the infrastructure is already in place and the government's new Smart Nation initiative is designed to give the country the boost it needs to make the vision a reality.